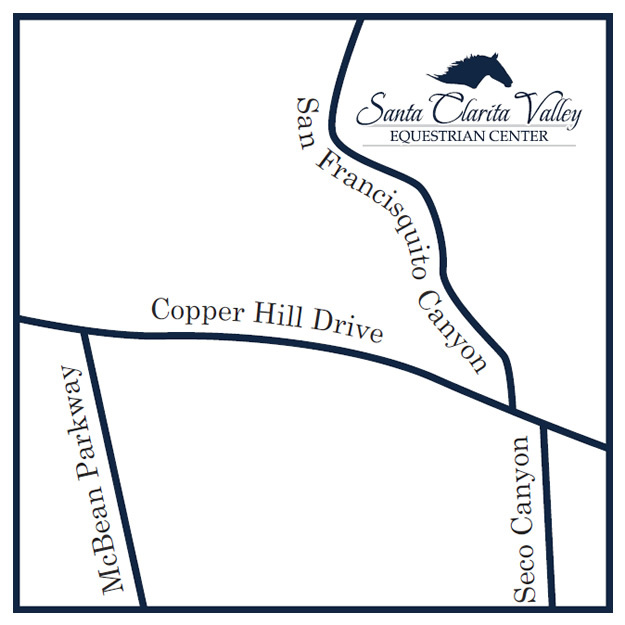 Santa Clarita Valley Equestrian Center's signature trail rides are your opportunity to unplug from technology, to-do lists and meaningless distraction and reconnect to what really matters. The moment you arrive at our well-appointed facilities, you'll feel a sense of calm wash over you. The natural scenery, the gentle rustle of a horse-tail swish, excited murmurs from your trail partners - it's the sort of sensation that says, "You're home" - even to first-time guests. And then the fun begins. 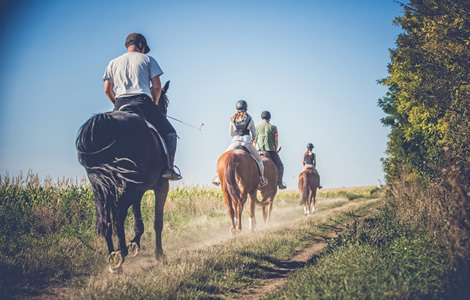 Even if you've never rode a horse, you'll feel safe and comfortable in the hands of our professional, experienced trail bosses. They'll be sure you're saddled up just right and give you some easy, general guidelines to make your experience as enjoyable as possible. Soon enough, you'll head onto the trail. Depending on weather and season, we may mosey through the local riverbed or through slightly more mountainous terrain - but rest easy: this is a slow, steady ride from start to finish. That's why guests as young as 6 can safely join us when they are accompanied by a parent or guardian. Trail rides must be scheduled in advance; we can often accommodate same-day appointments, but there are no guarantees. We suggest reserving your trail ride 48 hours or more before your preferred day. Schedule yours by calling 661-296-9995. Private trail rides are available for parties of four and larger, or for an additional fee for smaller groups. Planning a special event, like a proposal or a romantic date? Call us and we'll help make your moments together extra magical. a camera - though don't expect to get much, if any, cell phone reception. water - it can get toasty out there in the summer. layers - weather can change quickly; dress in layers to accommodate shifts in temperature. close-toed shoes - boots are optional!